Senator Dino Melaye on Monday received the Senator of the Year award from the Senate Press Corps. 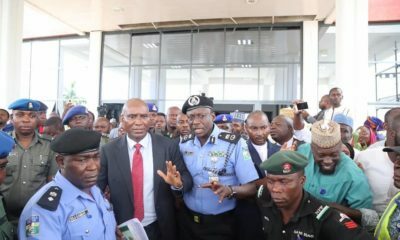 The Kogi West District senator was lauded for being a vocal member of the Senate and for sponsoring 15 bills, including the Anti-Jungle Justice bill which has been passed and is awaiting presidential assent. The Nigerian Union of Journalists (NUJ) had cancelled the award, declaring it illegal. The corps had nominated Melaye and 14 other senators for series of awards at the Sheraton Hotel, Abuja. In separate statements on Monday, the National President of NUJ, Abdulwaheed Odusile and the Chairman of FCT Council of the Union, Ella Abechi, said the Union had canceled the proposed award ceremony, and declared it illegal. 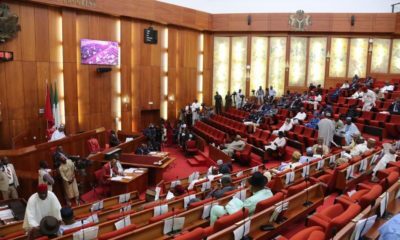 The NUJ said the Press Corp of the Senate was not recognised by the constitution of the NUJ and as such, had no locus standi to present award to the lawmakers. “The Union dissociates itself from the so-called conferment as it did not comply with the provision of the Constitution of NUJ on such issues, hence the nullification of the award,” Odusile said. Abechi also called off the award ceremony, adding that it was illegal and lacks legitimacy by the constitution of the NUJ. “The press corps is not a legitimate organ to decide who to give awards to,” he said. 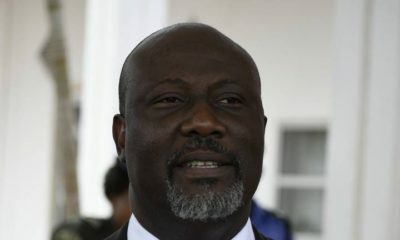 However, the event took place Monday night at the Sheraton Hotel, Abuja, Melaye receiving the award. The senator also received the same award in 2016. What a joke!! I feel sorry for this generation of weak minded nigerians. Nigeria is doomed. What are his accomplishments as a senator that made him qualify for an award? They said it’s because he sponsored 15 bills. What exactly is the Press Corps of the Senate? There should be a law against the word “Senate” and other proper nouns being used as the names of other organizations unless it is approved by the Senate otherwise it causes confusion.